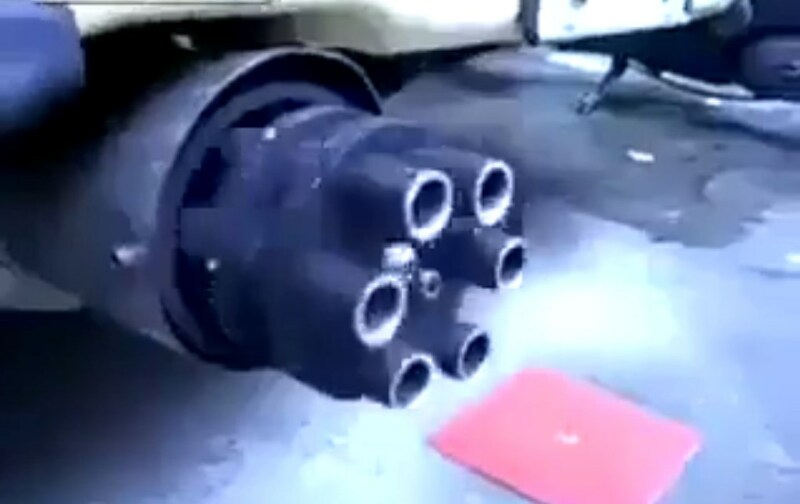 Real Life James Bond With This Machine Gun Rotating Exhaust! Are you fans of James Bond`s movies? Frankly, rarely who is not. This leads us to the second question: Are you jealous of all his automobiles equipped with pretty much every piece of weaponry you can think of? Well, the time to stand up for yourself and show Mr. Bond what you`ve got has come! You can make your automobile resemble a Bond`s automobile by installing an rotating exhaust pipe that looks like a machine gun! We believe that you have seen such rotating exhaust pipes mounted on custom made choppers, however, it looks like that they have become available for the four-wheeled pets as well. If you think that a police officer will pull you over because the tailgunner shoots metal, do not worry about that. In fact, you might, if something in the inside smashes all of a sudden. But, what a tailgunner can do, is to enhance the sound of your vehicle! That`s a reason enough to purchase it, isn`t it? On the other hand, if you take a look at this from another angle, this is a device that can increase the back pressure and thus reduce the efficiency of your engine. Anyway, the choice is yours! Finally, click here to hear the insane exhaust sound of one legendary Ferrari LaFerrari! I am going to do this on my exhaust!